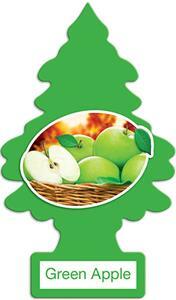 Add a little fragrance to your life with the world-famous Little Tree air fresheners. Has a brisk, clean scent and bold, attractive packaging. Like all Little Tree fragrances, it's high-quality, strong and long-lasting. Hang it in your car, home or office. Item will be shipped on same day or next day after payment is processed. Please see worldwide shipment calculator for international packages. PayPal payment is preferred method of payment. Please ensure payment is made within 24 hours of winning auction.